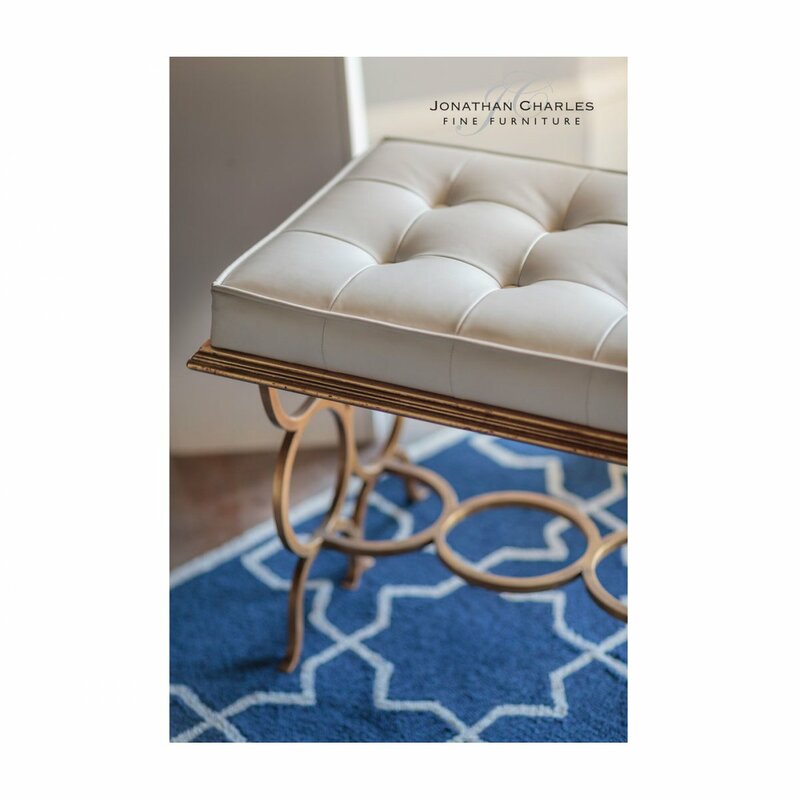 This Hollywood Regency style Designer Bedroom Upholstered Bench/Bed End Stool inspired by very famous Art Deco luxury furniture of the 1930's. 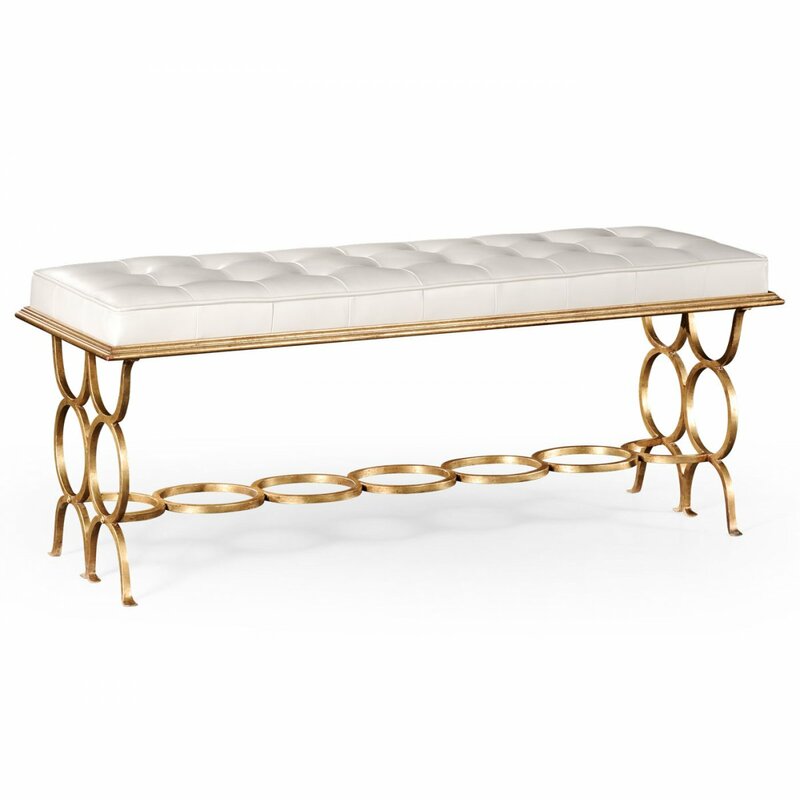 Fabulous and very stylish wrought iron rectangular bench features interlocking circles to legs and stretcher with distressed gilded finish and tufted white leather upholstery. 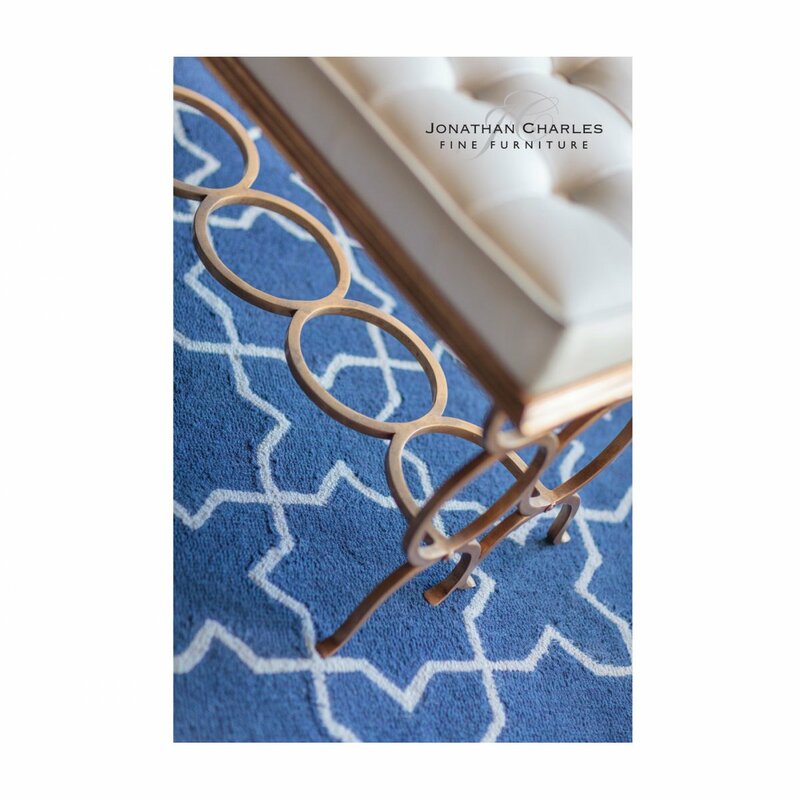 A stylish looking Jonathan Charles bed end stool looks a million dollars in real life! 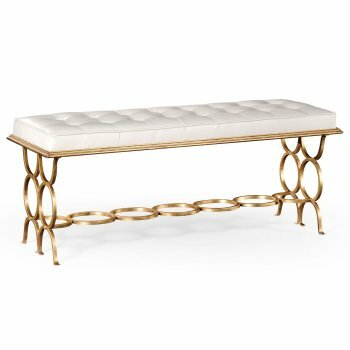 This bedroom bench is the epitome of style, through elegant extravaganza and will add a remarkable Hollywood Regency touch to any room. 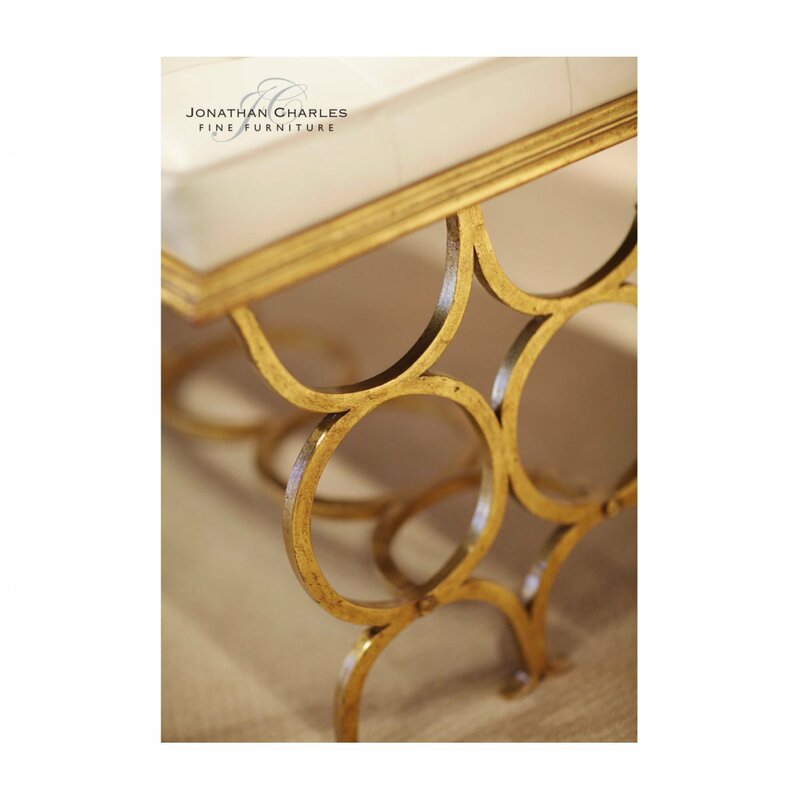 Suitable for any bedroom, elsewhere throughout the home. 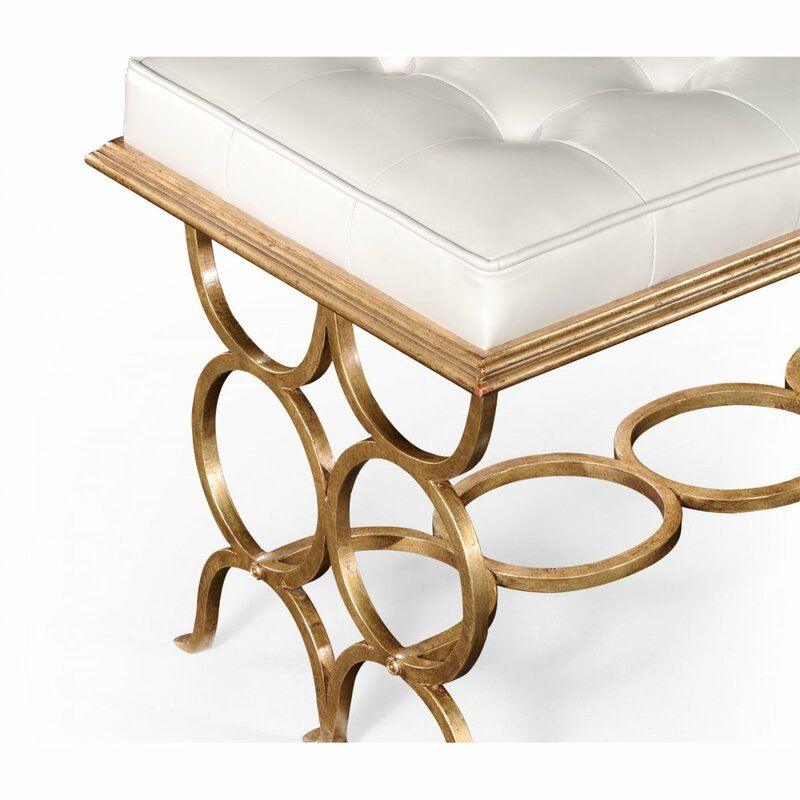 This fantastic bedroom stool is an ideal choice for anyone seeking splendid, classy, chic furniture piece that benefits from the luxury flamboyance and practicality of 1930' design. 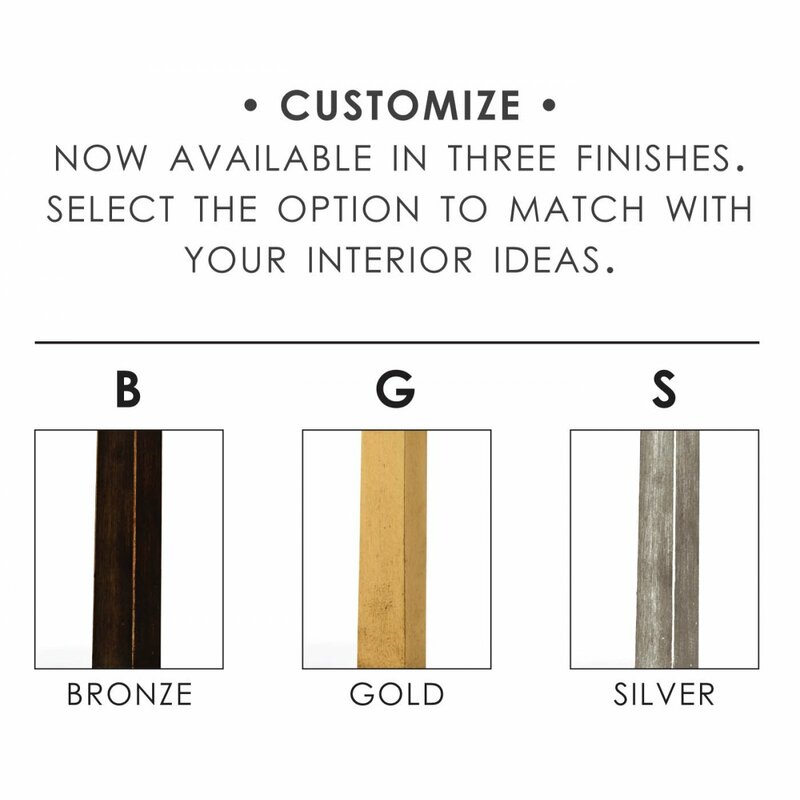 Available in gold, bronze and silver. 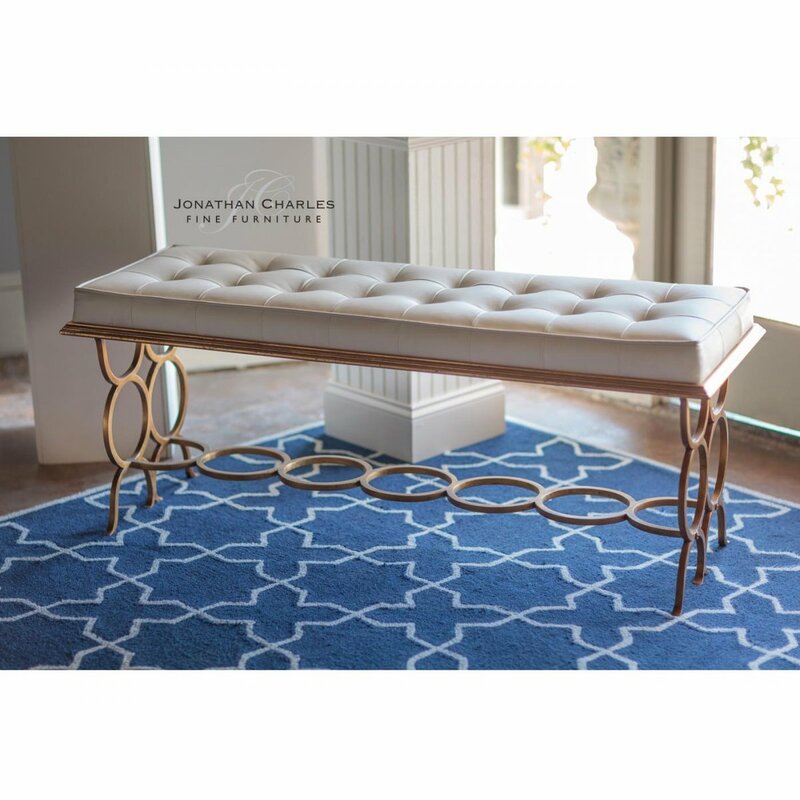 Pair it with the matching Hollywood Regency chest of drawers, Coffee Table, Console Table, etagere, lamp table or Wine Table (available separately) to complete the look. Why not team it up with one of our charming chandeliers to create the perfect Vogue ambience? 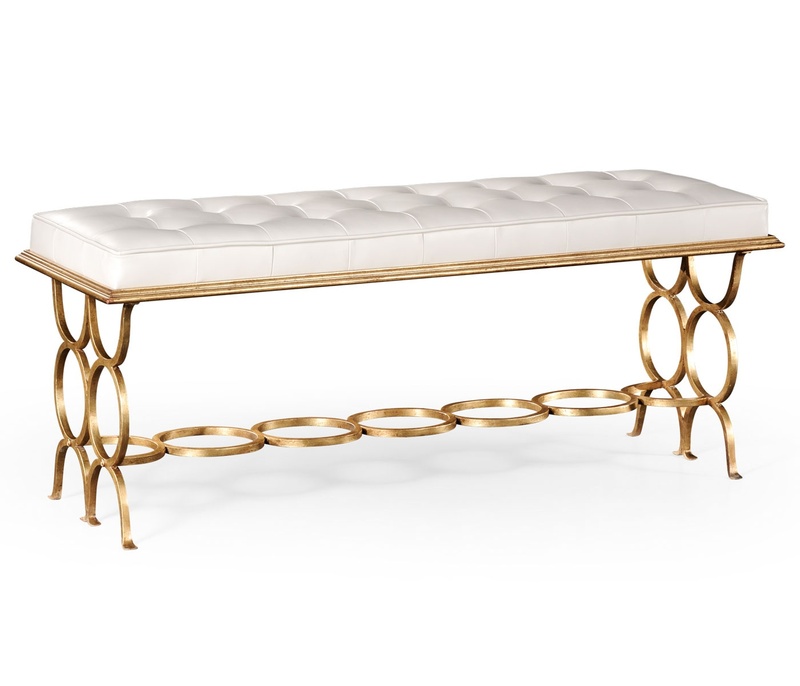 Currently, Hollywood Regency furniture is very much in Vogue, there's something for everyone in this impressive Jonathan Charles Luxe collection.